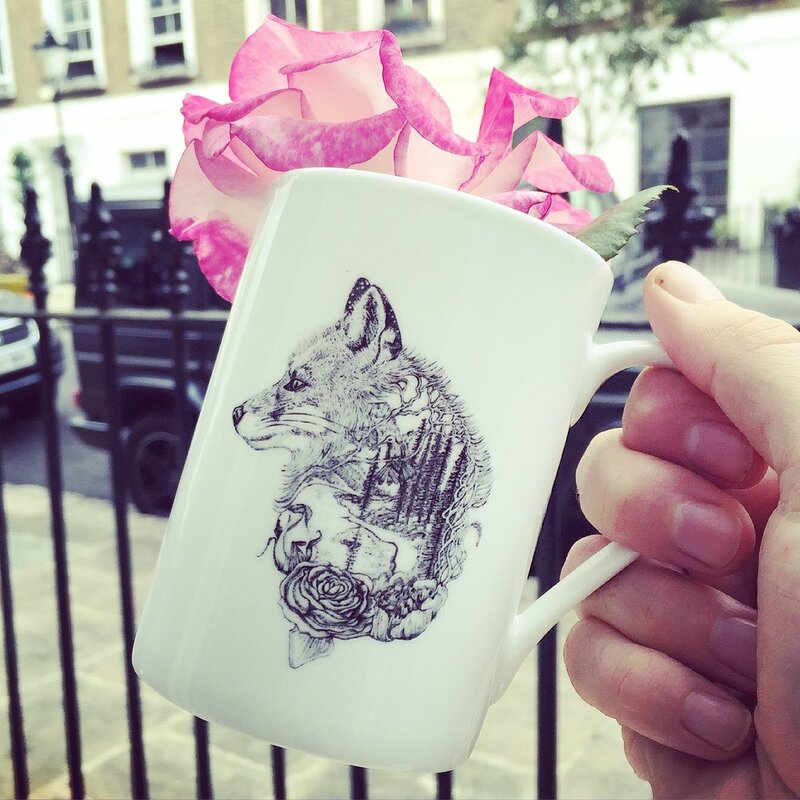 Intricate Ink Drawings On Fine Bone China Mugs. I have just launched a little collection of fine bone china mugs featuring my ink drawings. I have added my favourite drawings of the fox, rabbit, and deer among with a few others. I will keep adding to the range as I gradually draw new pieces over time. They are all made to order and I can personaliase each mug on the back replacing the animal name with the name of your choice. The drawings look really beautiful on the mugs, which are slim with a light sleek handle and have a lovely high gloss finish. A very elegant way to drink your Earl Grey in the morning.